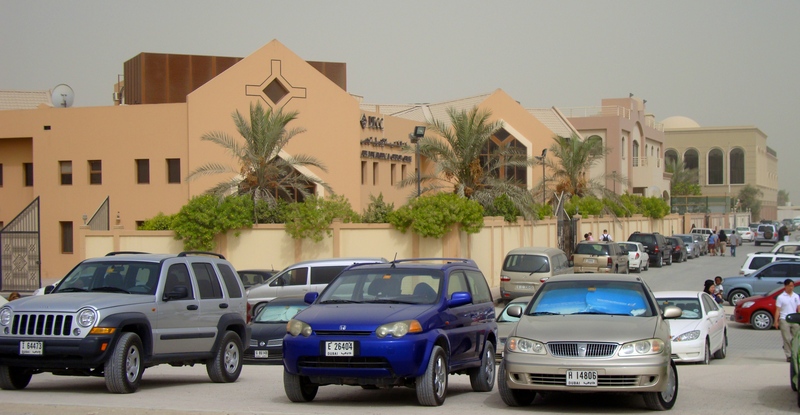 Back in March 2013, I resigned from the United Christian Church of Dubai. I had been a member for four years. I see no need to rehash the reasons I left, suffice it to say that I was disillusioned and disenfranchised. 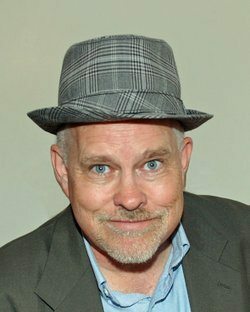 In September 2013, six and one-half months after I had emailed my letter of resignation to the church leadership, I was removed from their membership rolls. We never did receive any type of notification of this action from church leadership; my wife discovered the news from talking to a friend who had attended the membership meeting. Baptized as a child in the Lutheran church, I presently attend an Anglican church. 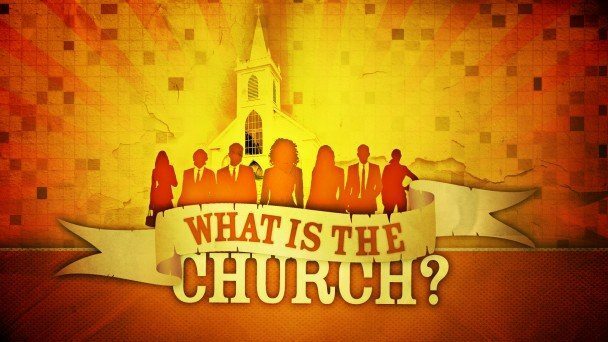 In between I have attended scores of different Protestant churches, including Evangelical Covenant, Evangelical Free, Baptist, several different types of Charismatic churches-varying in degrees of craziness, Community Churches, and a Presbyterian (PCA) church. I guess after 57 years you could say I have been around the block a time or two. I have learned from every church I have attended, and have probably learned the most at the churches I would say were the worst. Included in this list would be Bethesda Christian Center, a charismatic church in Wenatchee, WA, where the Business Manager was robbing the church blind and, as a result, served some time in prison. 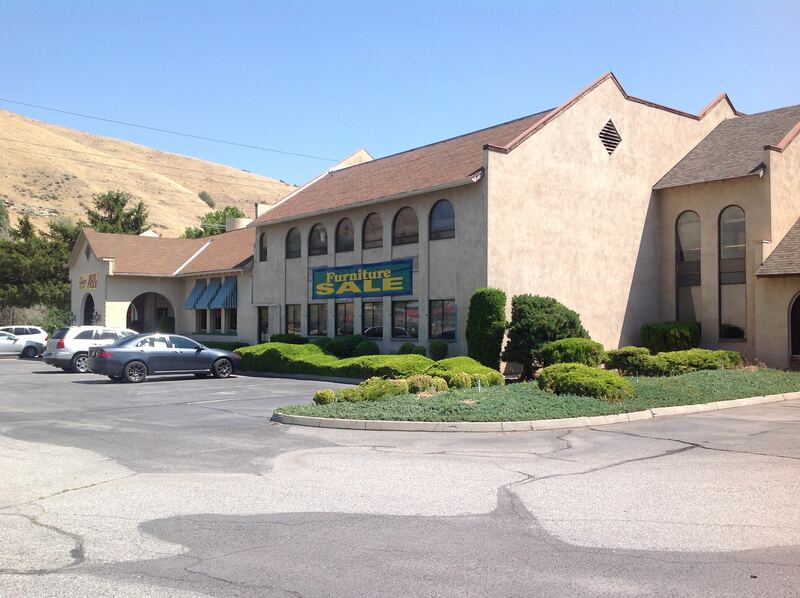 The building is now a furniture store! See below. 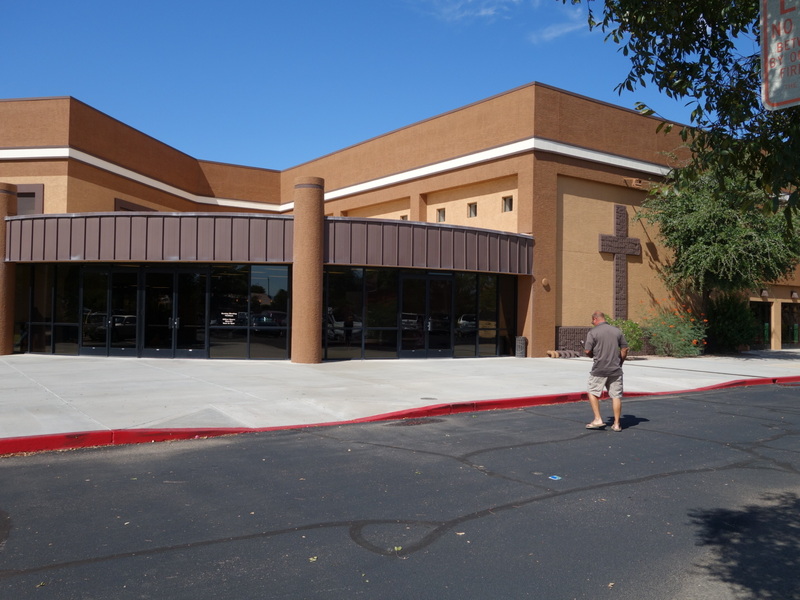 Another church included in this list is Sovereign Grace Church of Gilbert, AZ, pictured below. I also was uncomfortable the way church members and leaders worshipped C.J. 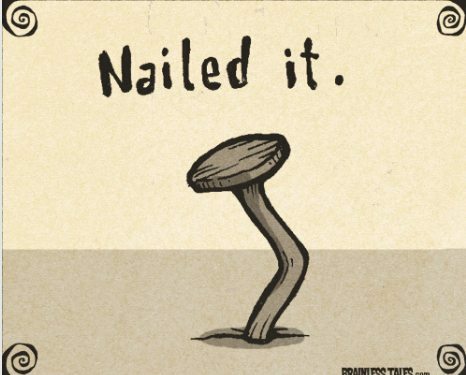 Mahaney when he showed up as a guest speaker. The straw that broke the camel’s back for me was when we were called in for a meeting with Glynn McKenzie, an assistant pastor in charge of Care Groups. Our Care Group had been steadily bleeding members due to the intrusive “sin-sniffing” implemented by the new leader. (I should add that this “sin-sniffing” was common among all Care Groups in the Sovereign Grace Churches, to what extent it was carried out depended on the leader of the group.) I along with several others felt quite uncomfortable with the overall tone of the meetings and over the course of time we all started missing meetings in an ever increasing rate. Attendance was so poor that church leadership made the decision to disband our Care Group. McKenzie called in all the couples who were a part of the Care Group for a meeting in his office, couple by couple, to reportedly “explain” what was happening. In reality, it turned into a chastisement for our poor attendance and lack of dedication. Never shy to voice my opinion on matters, I raised some questions that McKenzie had trouble answering. Apparently accustomed only to compliant subjects, McKenzie lost his cool with me and actually shouted at me, telling me that if I wasn’t going to attend Care Group regularly I should find another church. McKenzie apologized to me the following Sunday, but his apology rang hollow. Figuring I had seen the man’s true character I decided I wanted no part of a church that was that authoritative. We quit a few months later. 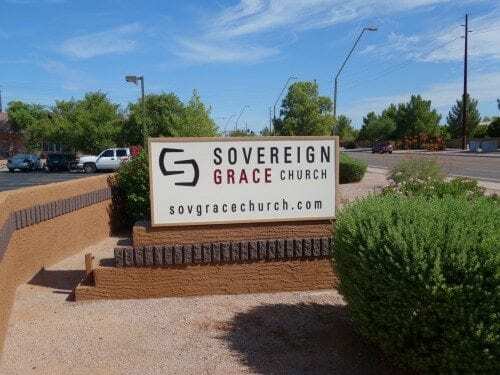 McKenzie was apparently just the type of leader Sovereign Grace Ministries was looking for because soon after we left he was promoted to the position of Senior Pastor at Grace Community Church in the Denver area! I got a brief break from institutional church madness as I attended a small Baptist church in my little town of Casa Grande, AZ. Soon I moved to Dubai and started attending UCCD. Originally I was quite impressed with the preaching of John Folmar. I knew nothing of the 9Marks organization, church covenants, Mark Dever or their church polity of “congregationalism run by a “plurality” of elders.” After 4 years attending UCCD I knew what the game was and I wasn’t liking it. My wife and I had been Care Group leaders for about three years and we had decided we were going to end our involvement; to that end I had scheduled a meeting with an assistant pastor in charge of Care Groups to tell him that we would continue leading until the end of the school year, but then we would be done. As Providence would have it, I had actually emailed our letter of resignation prior to the scheduled meeting. We became just another number in an ever-growing list of disillusioned people who had formerly attended UCCD that, turned off by heavy-handed discipline and the authoritative atmosphere, left in search of a better expression of Christianity. As I mentioned in my article quoted above – after 57 years I have a pretty good idea of what a church should not look like. Before I leave the subject of authoritative churches listen to this gem. Here is a former pastor who now runs a business which helps churches become financially sucessful. Do you think it’s OK for a pastor to be all up into your finances as this guy suggests? What he is suggesting, (and apparently many pastors are heeding his advice) sounds more like what you would expect in the Mormon church, not the Evangelical church. What Wayne Jacobsen said favorably impressed me. I think there really is something more than the typical way we “do church.” I urge you to watch the interview of Jacobsen below. I believe what he says will resonate with any sincere Christian. That simple formulation would have prevented so much of the mistreatment I saw in the church that I had attended for decades. I left because I couldn’t change it and could not continue association with such misuse of people. I also read Wayne Jacobsen’s book some some four to six months ago. I greatly favor what he describes but I don’t know anyone involved in such a non-enterprise. At 61 is it harder for me try something new, it is also hard for my wife and friends, even though many of them are similarly disillusioned. The next generations of believers can do a lot better than the institutional church that absorbed so many of my years. Maybe that is one of the reasons for the success of the church in China, the persecution kept it small and stripped away the institution. I’m more than curious where your journey takes you. Thanks for the comment Bill. It sounds as if you, your wife and friends are in a similar place as I. From what I read it seems there is a large number of us “evangelicals” who are disillusioned with the institutional church. A great book on the subject is “Church Refugees: Sociologists reveal why people are DONE with church but not their faith” by Josh Packard and Ashleigh Hope. You can read some quotes from the book on my Goodreads account – (https://www.goodreads.com/book/show/25641111-church-refugees). I am also curious where my journey will lead. Currently, I am meeting with a few friends. We still attend an Anglican church and, while my intention is to never formally join another institutional church, we both are happy to continue there as I explore different options. What a wonderful interview with Wayne. Yes – What he said impressed me also. 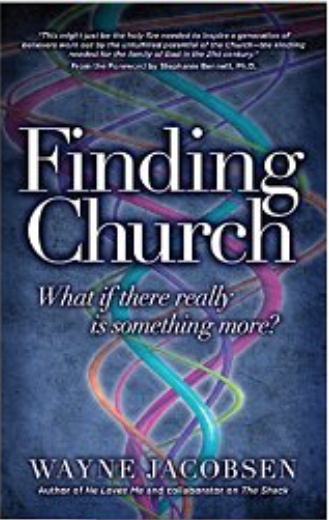 Hey Buddy!, I found this information for you: "Finding Church". Here is the website link: https://thouarttheman.org/2015/12/19/finding-church/. Thank you.